Arlen Ness, the "King of Choppers", knows a thing or two about performance. The Big Sucker is the best-selling and most powerful air cleaner kit on the market - period. Simply, the Big Sucker is designed to give your engine maximum airflow for maximum performance. 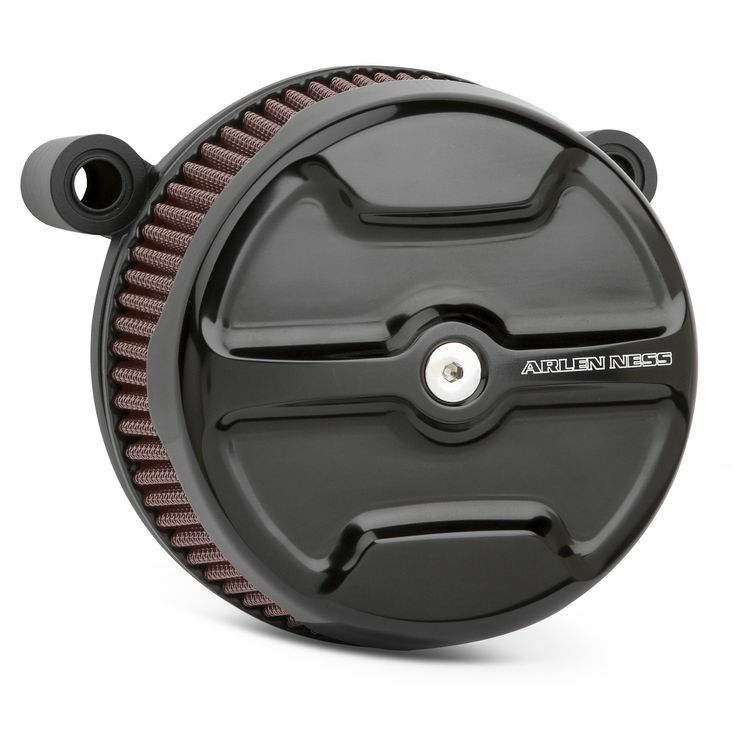 Big Sucker kits feature patented, hidden breather backing plate technology - this means the breathers are incorporated into the air cleaner housing itself. Gone are unsightly external hoses and hardware, giving your bike a super-clean look. Each hidden breather has a sealing O-ring at the heads and exits at the carburetor or throttle body inlet to provide efficient internal engine pressure relief. All kits include a Big Sucker backing plate, high-flow filter, chrome banjo bolts, gasket, hardware, and simple instructions. Made in the USA. Note: Images for finish demonstration only. All filters are red and pre-oiled.